These strange looking animals grow to about 20 cm long. They are almost completely blind, so they use the 22 tentacles around their nose to detect prey. They have 25,000 sensors in their tentacles, making them very sensitive. Star-nosed moles are excellent swimmers and were the first mammal that was proven to be able to smell underwater. Their powerful front claws help them when swimming and digging. They hunt small insects, fish, worms and other invertebrates that they find in the water. 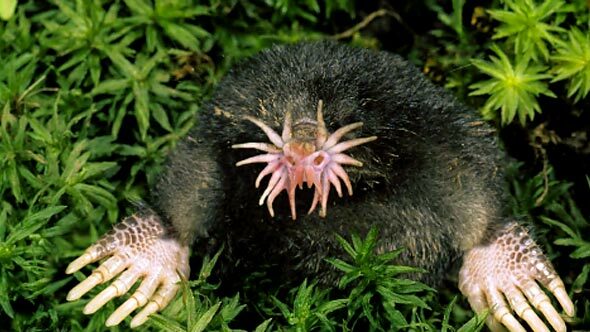 Star-nosed moles are quite common and can be found in small colonies throughout south eastern Canada and north eastern United States, where they prefer damp soil near water. Are there any other interesting facts that you would like to share about star-nosed moles?